It's here! 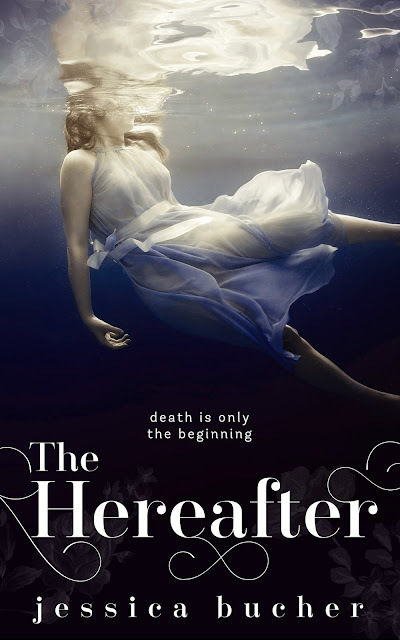 The new cover for The Hereafter is here, and I can't stop looking at it. Isn't it beautiful? If you've read The Hereafter, then you know that this is a very fitting cover. It really captures that dreamy, moody feel of the novel. The end is only a painful beginning. Seventeen-year-old Nin was too young to die. Just when she was ready to break out of her shell and head to college on the west coast with her best friend—her life met its violent and unexpected end. Dylan Dawson’s short existence was laughably unfair, from start to finish. He doesn’t need to remember his death to know that he deserved it, so waking up between two dumpsters in the city was no major surprise. Meeting a bright-eyed girl like Nin was. Together in the hereafter, the two of them spend one endless summer exploring their new world. And just when the undeniable sparks ignite between them, Nin and Dylan discover that their second chance at life isn’t so impossible after all. Given the chance to change their fates, Nin and Dylan must decide—life or love. Weaving through past and present and alternating perspectives, The Hereafter is a heart-wrenching and emotional journey about young love and second chances. Warning: These teens’ lives have been shattered by some very real, but tragic elements, such as: drug abuse, domestic violence, and suicide. This story is recommended for mature readers.